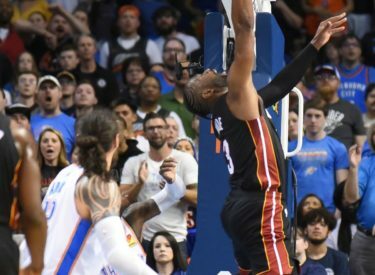 OKLAHOMA CITY (AP) – Goran Dragic had 26 points and 11 assists, Dwyane Wade added 25 points and the Miami Heat took advantage of Russell Westbrook’s absence to beat the Oklahoma City Thunder 116-107. Kelly Olynyk added 18 points and nine rebounds for Miami, which entered the game in eighth place in the Eastern Conference. The Heat snapped a six-game losing streak against Oklahoma City, which now has lost nine of its last 13 games to fall to sixth in the Western Conference.